We felt it quite a coup to get this commission from such a prestigious marque. With their distinguished heritage and ultimate approach to engineering and style, we felt pressured to make something befitting. At 6 metres long and 1.25 metres wide and with restraint passed down from on high, the top at 50mm thick is a spread of matched burr walnut banded all round with matched straight-grained walnut cross-banded border and a dividing line between of fine boxwood inlay. The base pedestals echoing the topsã¨¡pe, with complimentary matched veneer throughout offer such classically sound support. 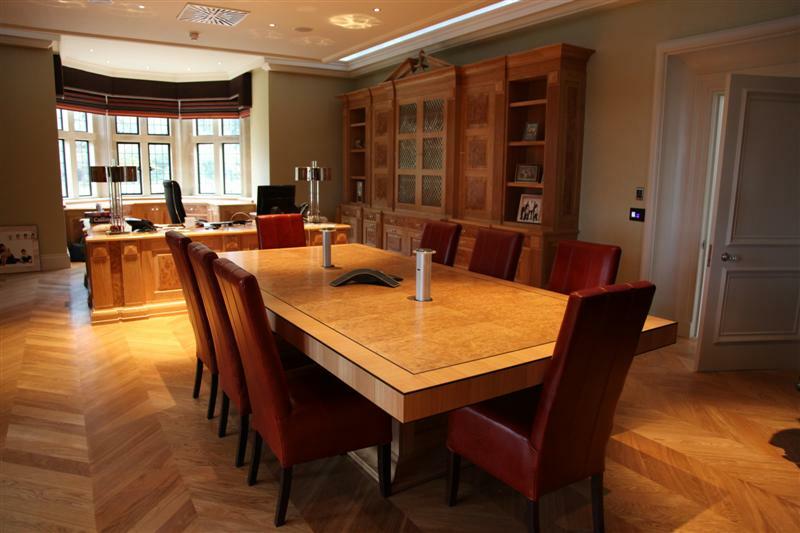 This piece, although an after-thought to the previously commissioned Walnut boardroom table was made at the same time as we made a lectern for the same boardroom. 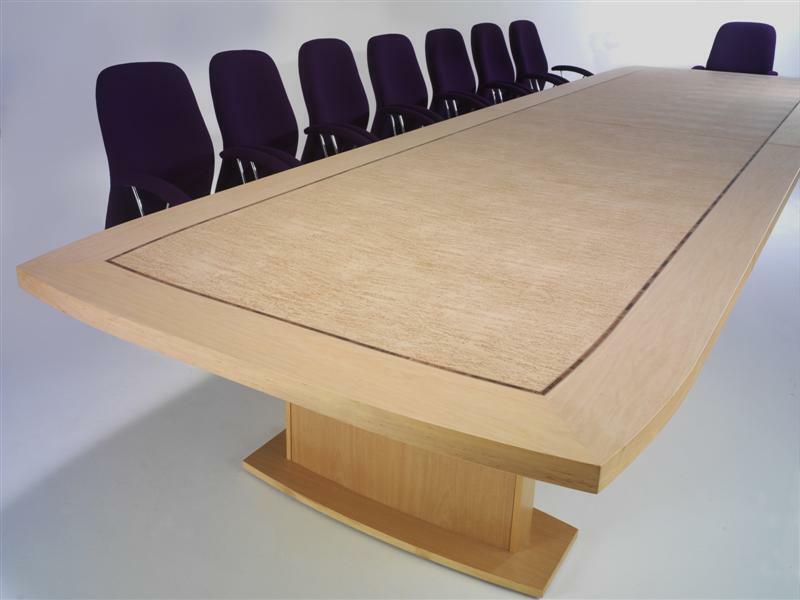 We matched both the burr and straight-grained colour-wise to what had been previously used; result was a beautiful matching Boardroom set. 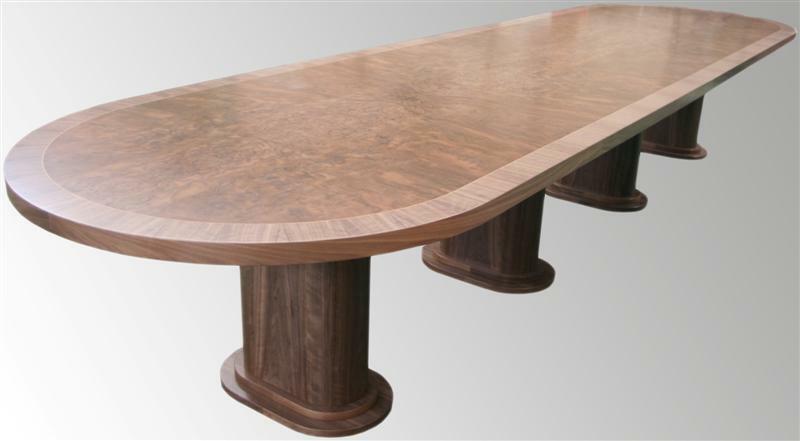 Made from Crown-cut and Burr American Black Walnut with features to emulate the styling on the Boardroom Table and side table. Allowances have been made for cable management to facilitate electronic presentations. 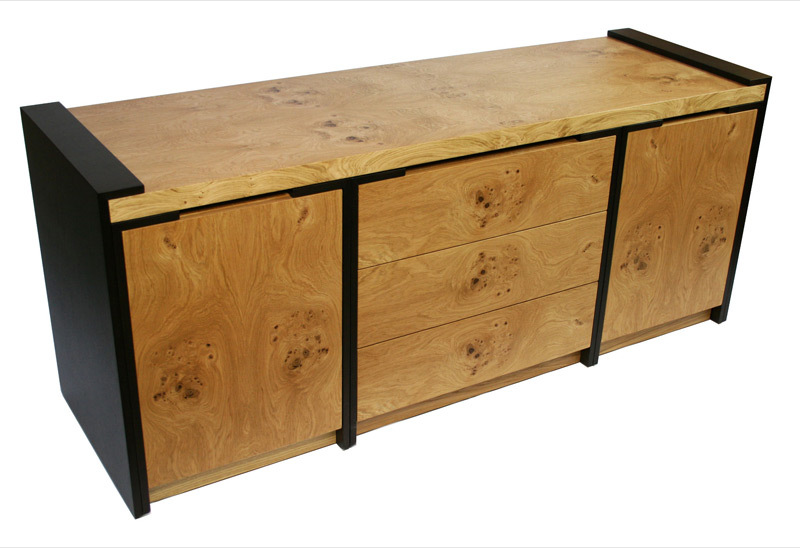 This Burr Oak veneered beauty has quarter-cut Oak cross banding that follows through, down onto thick edge and highlighted with solid black Ebony edge and border stringing. 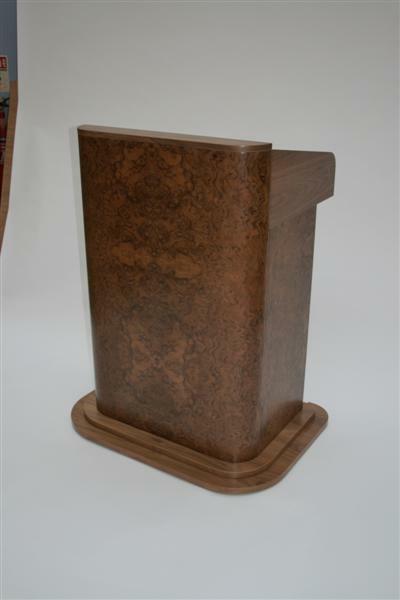 The sarcophagus style base has solid Oak Raised and Fielded panels with burr oak veneered centres. Full cable management happens through special fittings. This 18 seater, 6 metres long and 1.5 metres wide has Anegre veneered base pedestals with subtle curved sides to emulate other design details in the room. The top is 50mm thick and inside the Anegre border is a Kingwood Banding to set off the centre spread of a particularly fine quality Mazur Birch, which is quarter matched from the centre and then slip-matches out. Note the subtle curves to the ends of the top to relieve austerity and the subtle but nonetheless apparent; flicker that the set-out of the Mazur causes. Most of the work we undertake in this section is for bedroom studios or for private clients wanting to update/upgrade the fronts of their old units. Ahead you will see some of our grander past commissions that will hopefully whet your appetite. 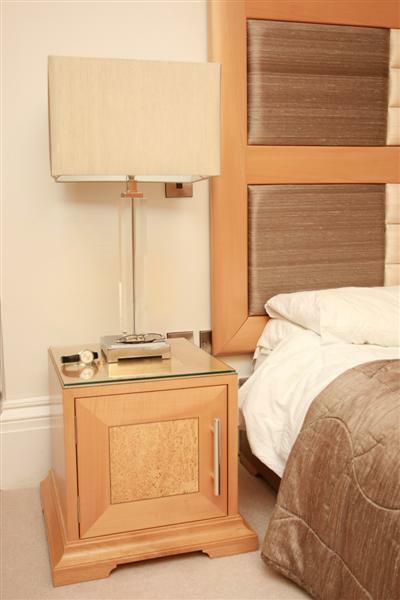 As you will see our veneered bedroom furniture is not restricted to wardrobes, but we have also done headboards, tailboards, dressing tables, bedside cabinets/tables, screens and mirrors. 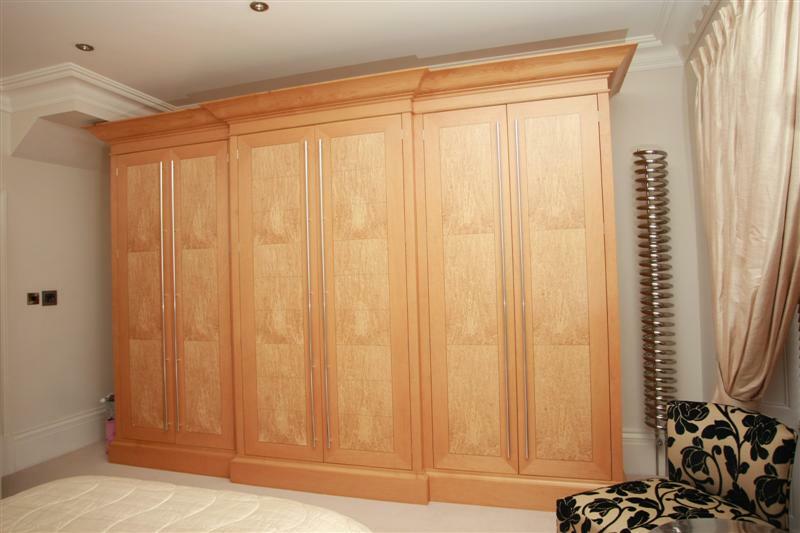 The wardrobe of this suite is veneered in American Alder with Mazur Birch door centre panels. The Mazur Birch veneer is arranged in 3 pieces per door, which are book-matched on the centre pair of doors and then slipped out across onto the end doors. Fine inlay lines then offer a very defined separation of the Mazur Birch centre panels from the mitred outer Alder borders. Naturally the Alder components despite incredibly subtle grain are all book-matched and follow through precisely. Look really closely at the centre pair of doors and youì ³ee the three-in-one style that is evident in the accompanying headboard is also further extended to the subtle division of each piece of Mazur; having 0.6mm wide inlay lines dividing each again into three. A bright white maple interior contains half and full-height hanging spaces with adjustable shelving. This 2.1m high headboard has a solid hardwood frame which we then veneered over in Alder, not because we couldnà§¥t solid Alder and then mould it to shape, but because veneer cut from flat boards and then wrapped around a curve looks infinitely superior to solid wood shaped to the same curvature. It also allowed us to stylise the veneer lay-out to achieve maximum effect. 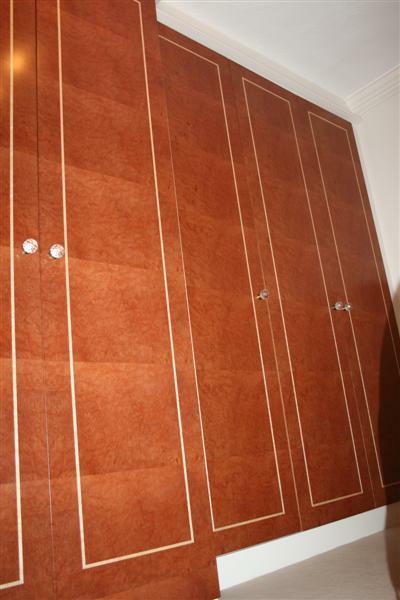 These cute pair of cabinets have their veneers set out in such a way so as to be mirror images of each other. Both have inlaid sides, tops and fronts. This clothes storage chest of drawers has solid Maple dovetailed drawer boxes with modern superior quality drawer runners to smoothly handle a lifetime of use. Complimentary approach to style matching is a given. The original wardrobes had a bank of plain white doors and were the primary reason for the overhaul of the room. The carcasses and their fittings were in great condition and did not merit replacement. Behind the centre pair of doors is the entrance to the ensuite bathroom, and with great fortune this entrance was break-fronted forward of the robe doors either side. 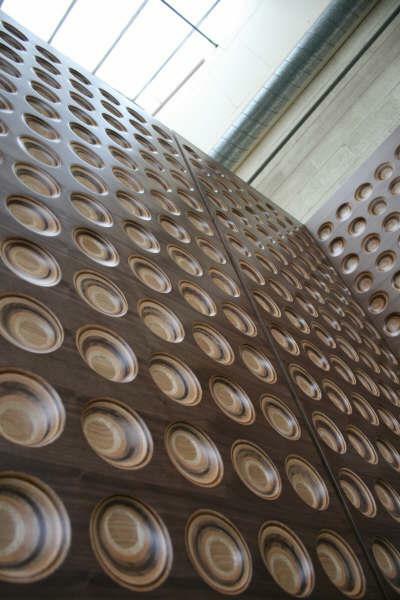 The doors; veneered in Madronne Burr were mirror-imaged from the centre and then same pattern was slipped-matched out across the remaining three either side. 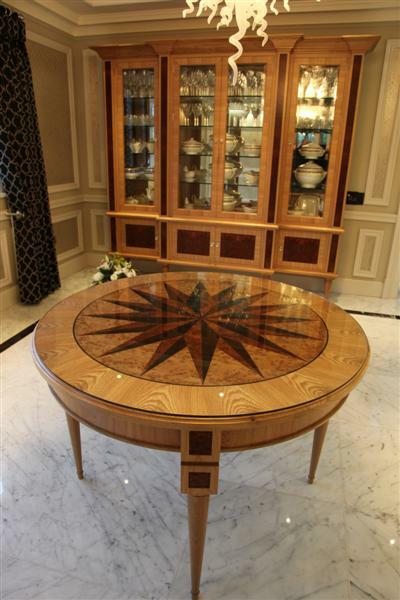 All are inlaid with Birdseye Maple and have crystal glass knobs as exquisite finish. 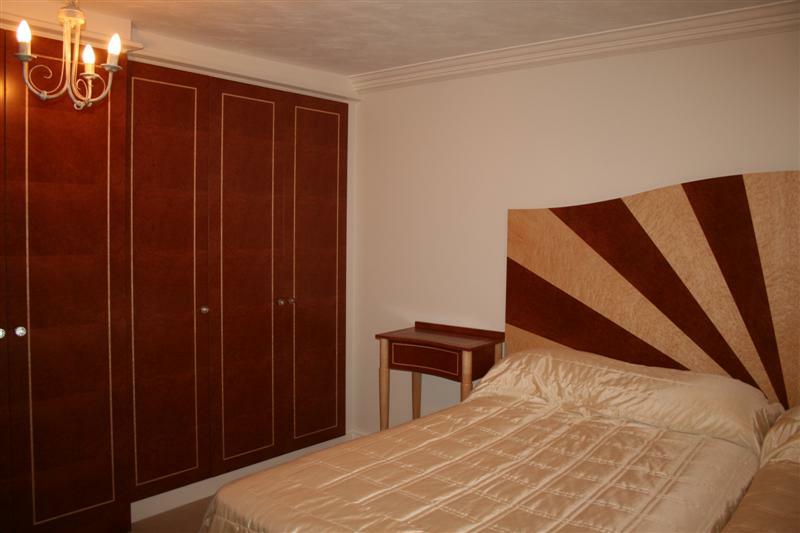 The rest of the suite consisting of; a headboard, two bedside tables, dressing table with chair, wall hung mirror and finally a screen. 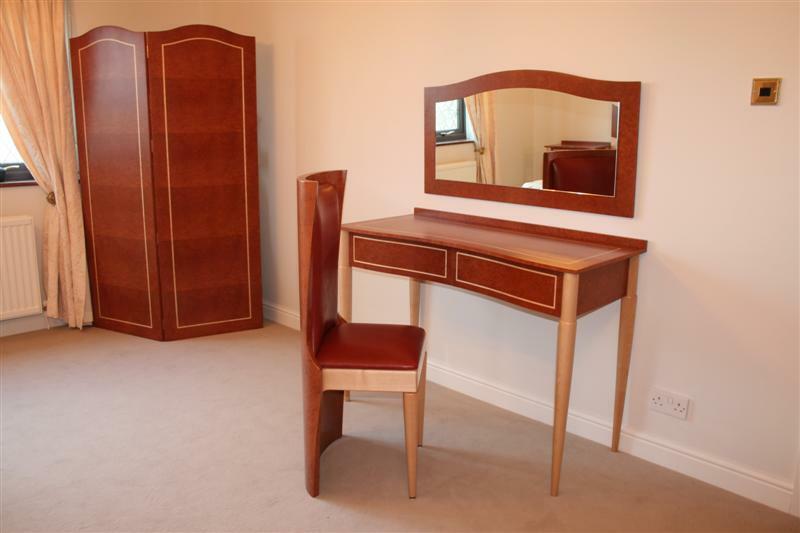 Please note the matching of wood grains and the subtlety of the curves throughout, particularly evident with the chair. The exception to the Art deco vision as set out above, but certainly no mistake; is the headboard, ità¡¬most outrageous statement of colour over form, was so appropriate to command the focus of the room. 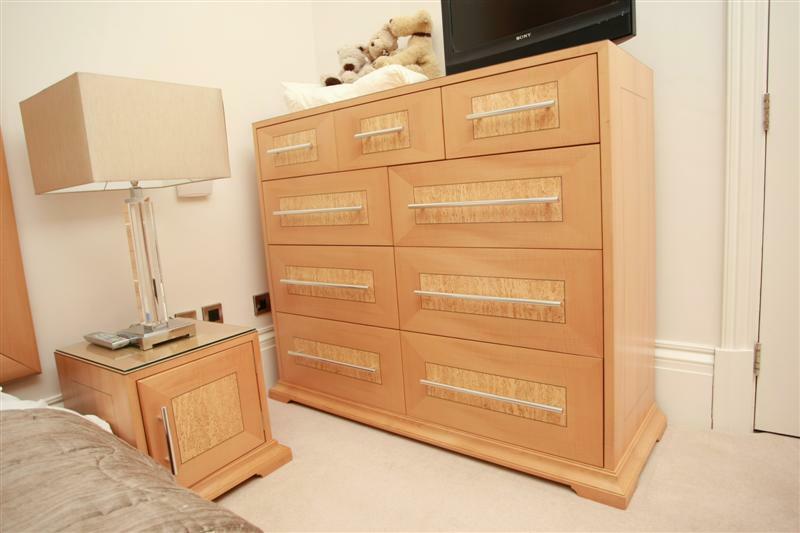 Our own design and manufacture, the wardrobe of this suite is our most coveted/stolen picture on the internet. Ità¨¡rdly surprising though given its wow factor. 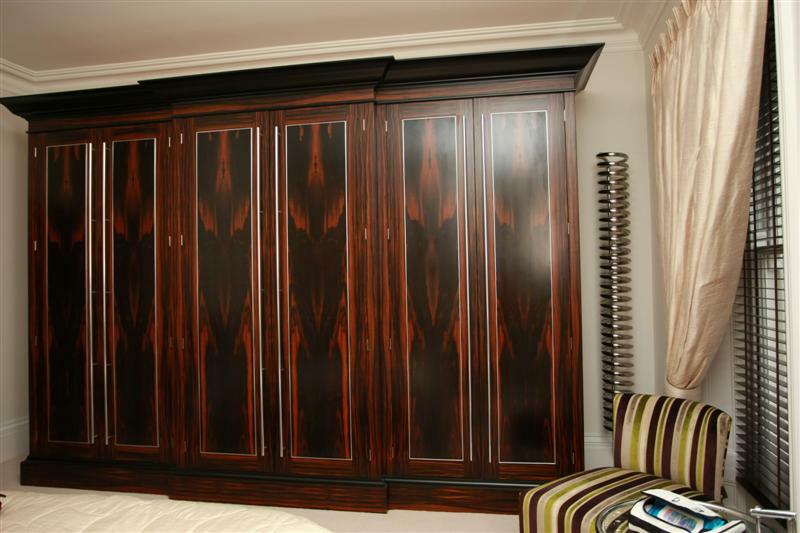 The potent combination of the two best cuts of Macassar ebony; ebonised cornice and plinth mouldings; raised polished metal borders to door panels, and long chromed handles on this break-fronted free-standing wardrobe exudes its class apart. 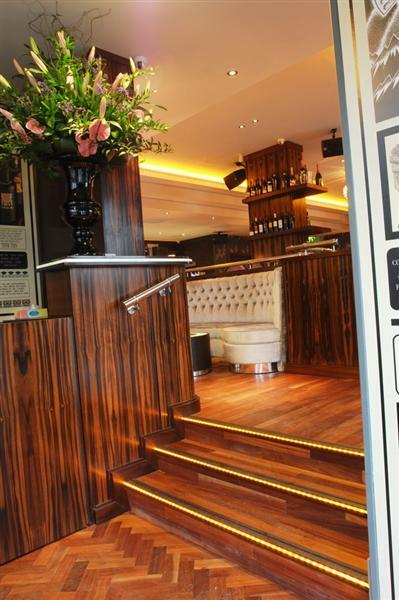 We paid exacting attention to the setting out of the veneers to give an absolute air of unquestionable quality. The outrageous door centre panels look to some like some kind of warriors stood to attention. The interior by contrast is in bright white maple. 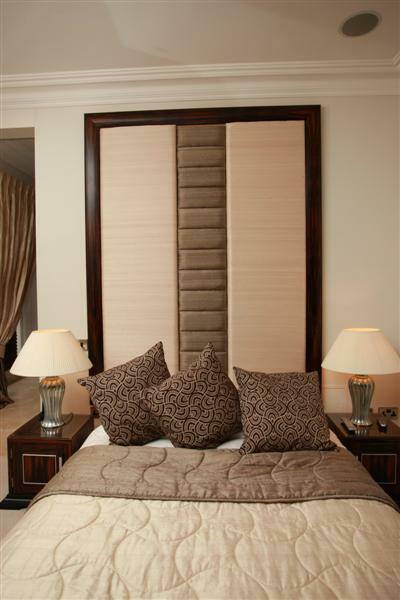 This 7`/2.1m high headboard has a Macassar Ebony Veneered frame. The veneer mirror images at the corners and middles of each rail, so that the grain always perfectly follows through. 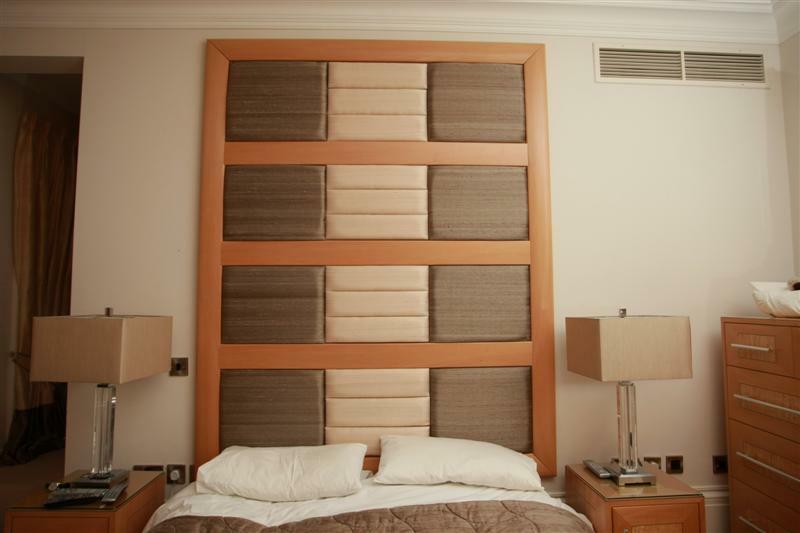 Are made in the same style as the wardrobe and have an adjustable shelf within each. With designs done by a very competent and noted designer, it was no surprise to appreciate that the classical finished look had been fully envisaged from the off. 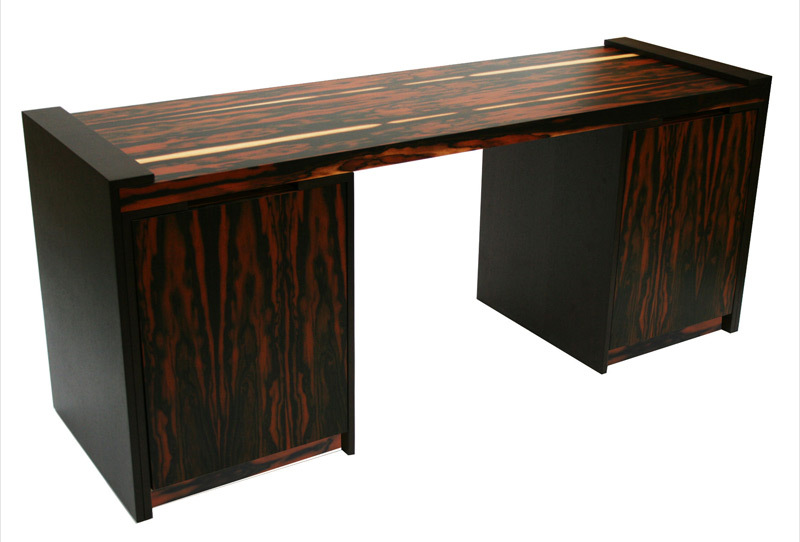 Attention to the matching of the exquisitely rich burr elm veneers was accentuated at every juncture with quarter-cut American White Oak and black ebony stringing details. This is our biggest dining table commission so far. One could not help but feel you were a dignitary if allowed a seat at it. At five metres long by 1.35 metres wide and supported on three up-turned pyramidal pedestals, this piece exudes ancient classicism. The vibrant and almost shocking centre spreads of a particularly fine quality Burr Elm are contained within a very defining Ebony boundary. 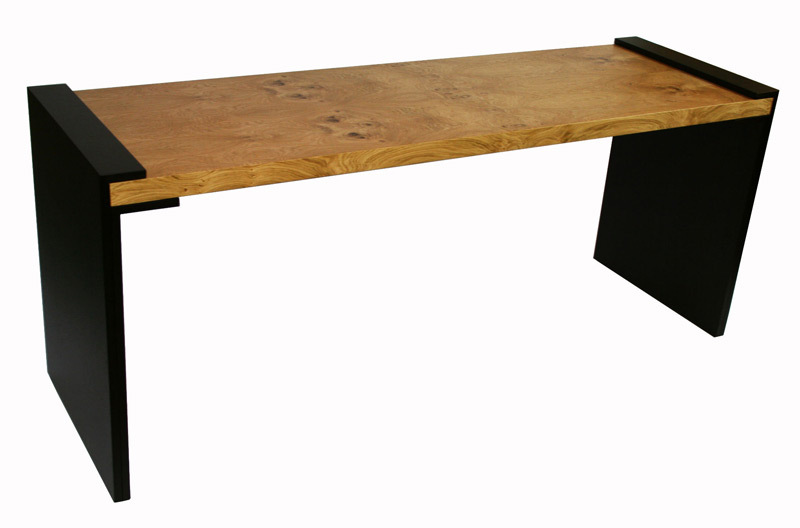 Full reinforcement to this boundary is effected through the use of following-through matched straight-grained oak with ebony edges to effect the strength of defining the top and bottom perimeters. 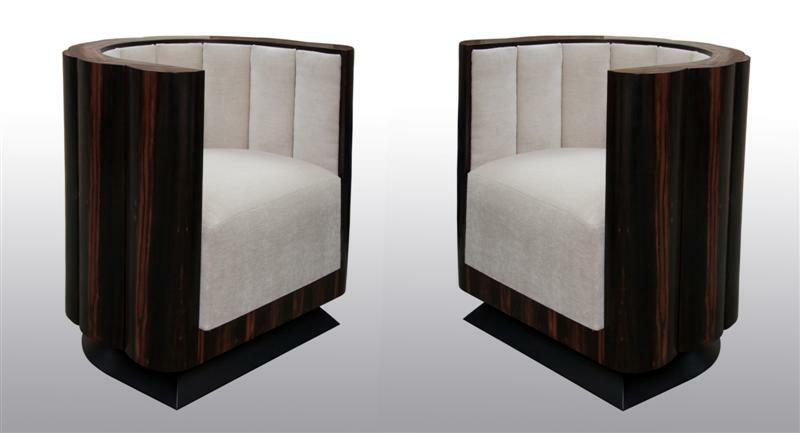 A matched pair, not only in design detail and sizes but also in grain. They are mirror images of each other in virtually all details. Each cabinet has solid drawers within each centre section with adjustable shelves in either ends. 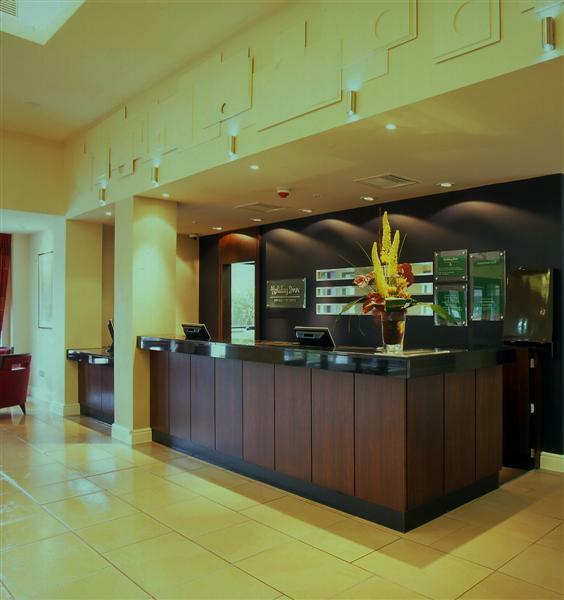 This elegant beauty is located just outside the adjoining dining room. 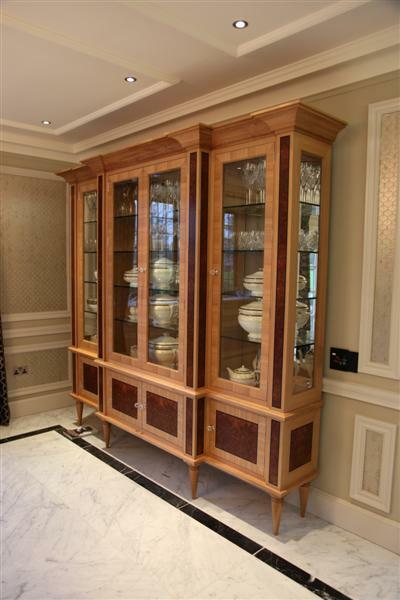 Despite the cabinets refined appearance, it is an extremely heavy piece especially when you take into account all the glass panels, mirrors and shelves. 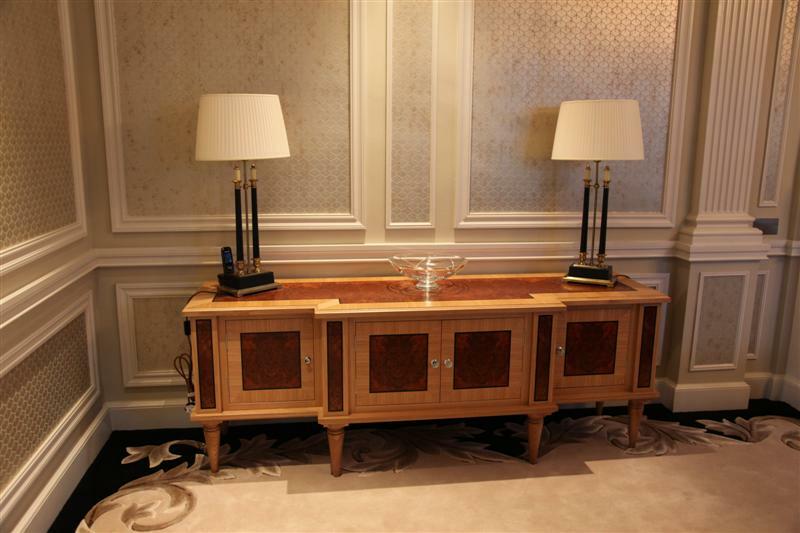 All veneers match the ones used on the table and buffet cabinets. All top doors close onto dust seals for obvious reasons. Homage to the compass points, looks as good now as ever it did. Optical effect and balance is achieved through slip-matching of; crown-cut oak border, burr oak background to starburst and all the darts of burr elm and ebony that form the points. In the accompanying photographs see the one that shows just the top, it best reveals the star upon a star upon a spinning background. These startling pair of stunners in Macassar ebony were made from a poor quality photo of a Paris exhibition display in 1925. The design is known as a Tub or Club chair. The flat top to the shell casing allows for elbows to rest and the sitter to feel almost regal. Sculptured bases are ebonised. We are working on a puffet and coffee table to complete the set. 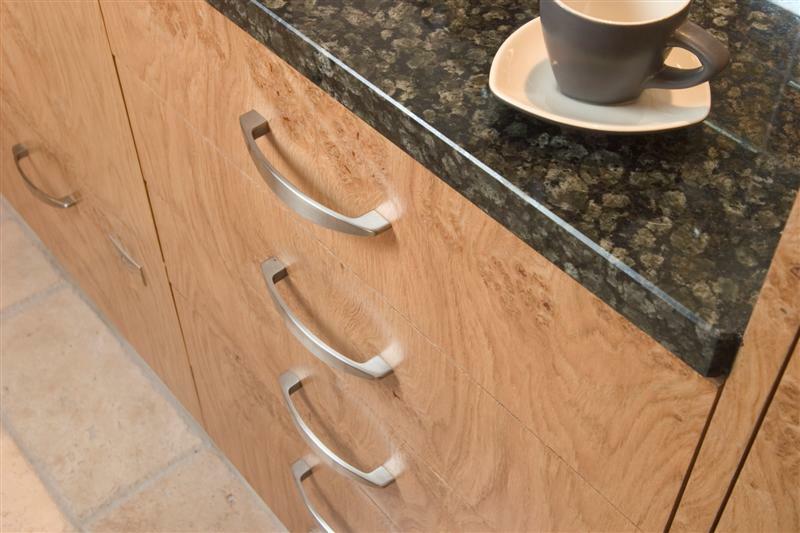 Although we do manufacture full kitchens, we more often make the veneered doors, drawers, plinths, pelmets and slab ends; for other kitchen makers and studios. We provide them in a fully finished state where attachment to the clients standard or bespoke carcasses is all that is necessary. Second most popular request in this section is for private customers to commission replacement fronts and end panels to old carcasses. 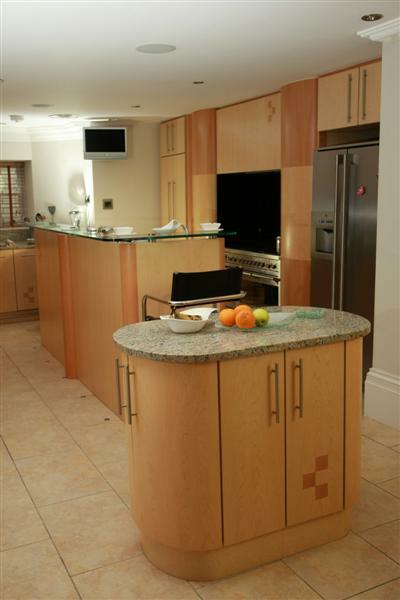 We have even provided entire kitchen kits to self build customers. 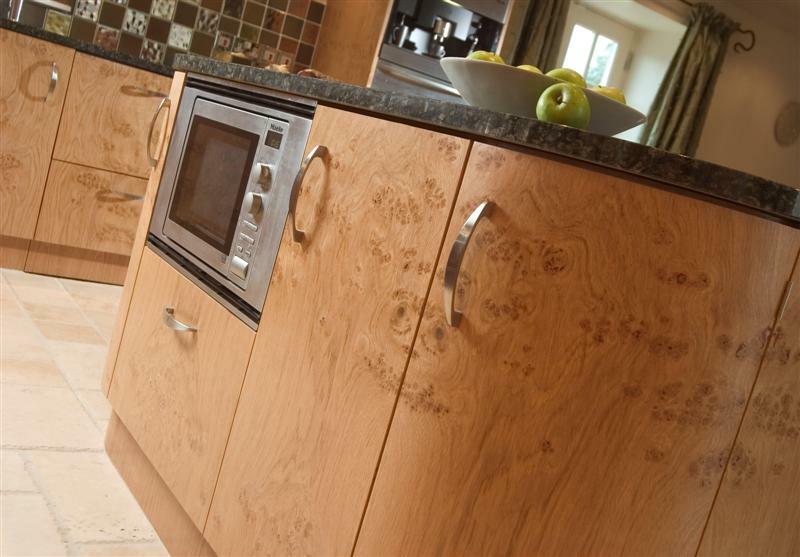 Quality wood veneered kitchens come with several benefits over solid wood or vinyl wrapped. 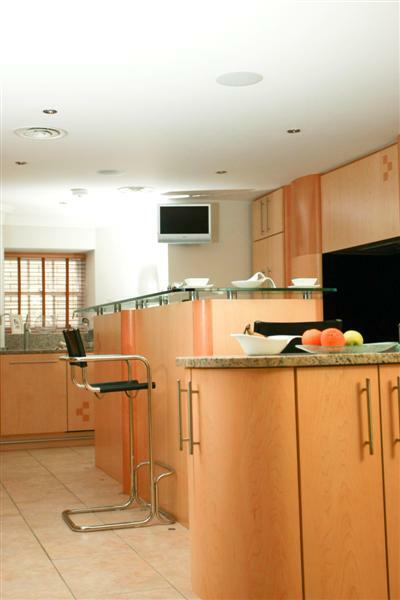 Born out of time served advancement of technology; we provide you with flat and stable components that are easy to clean, and are more uniform in colour than selected solid wood kitchens, and will outlast vinyl wrapped components by a considerable margin, in fact with basic care our construction methods are designed to last a lifetime. 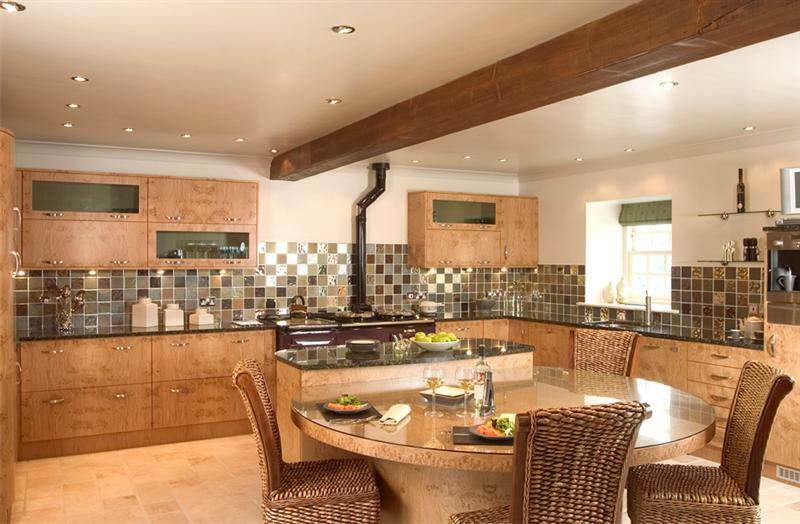 It doesnà´¡ke much scrutiny to see the attention to detail we gave this Pippy Oak Kitchen, it shows our brand-standard approach quite well. 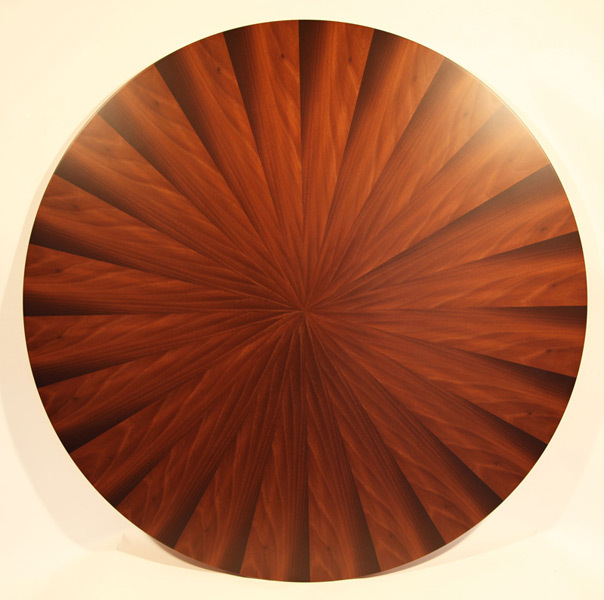 The veneers are set out in such a way so as to produce the most fantastic faces and patterns from the wood grain. The main body of the kitchen is also mirror imaged through a horizontal centreline which adds further balance. Please note the shell-shaped tabletop with burr oak edging and fan array of quartered oak to accentuate its focal point where it meets the hub of the kitchenè¥ Island; also the precisely following through grain on doors and drawer sets and the beauty of wood veneered curved doors. 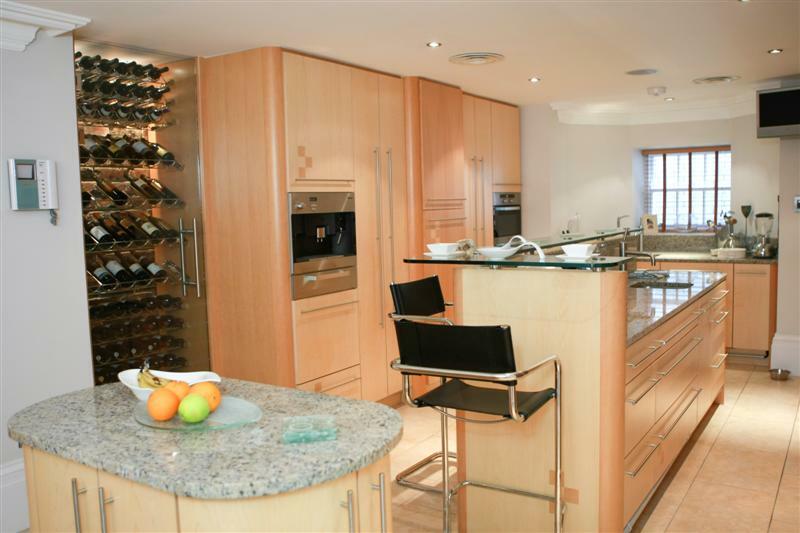 This kitchen was born out of a notable designers passion for a contemporary flavour. 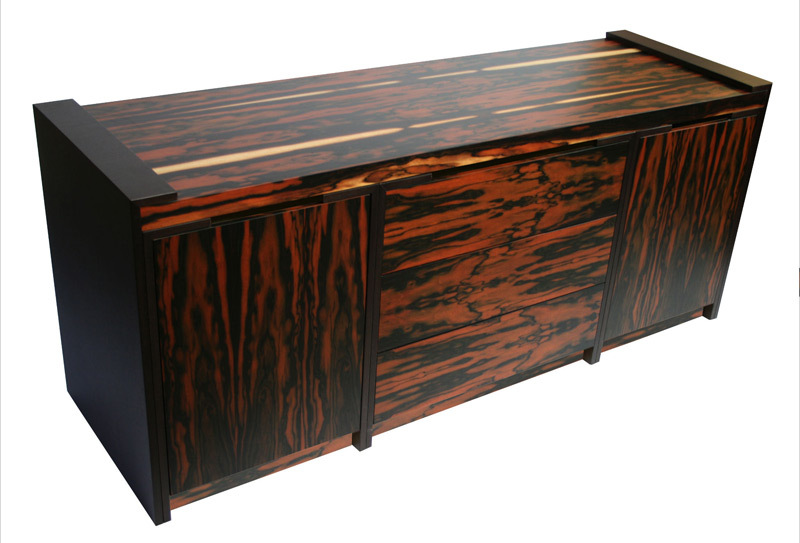 Maple is the main wood, with darker/warmer Alder chosen to accentuate the styling details. Most notable details are the curved pilasters that sit at junctures throughout the scheme; particularly the large pair either side of the range. Also note the inlaid tri-square emblem at intervals that pays homage to an early 20th century genius. We felt it was best to show our workshop photos of this wonderful creation so you can best appreciate the possibilities that could also otherwise have happened. We designed the smooth-flowing shape using a cad programme for easy transference to a computer operated machine, that cut out the ribs that form the overall shape. The bright orange Corian worktop eventually housed two hobs and the four fronts that you see raised up were pan-drawer fronts. 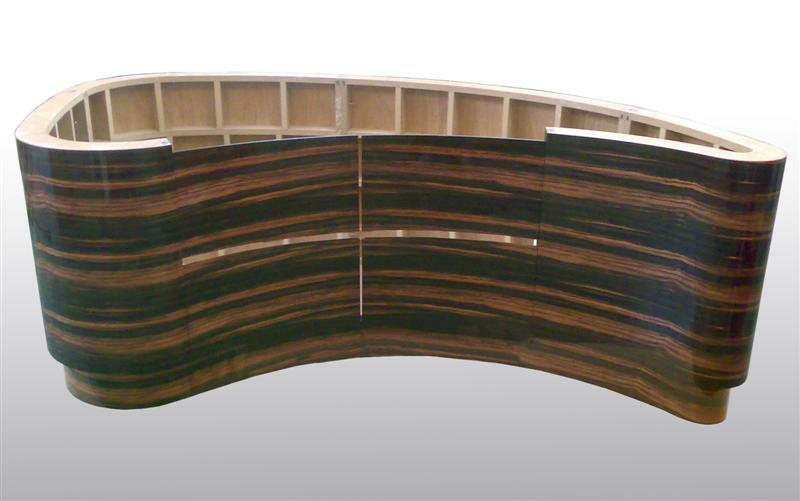 The heavy build/full gloss lacquer really complimented the Macassar Ebony and emphasised the curves. 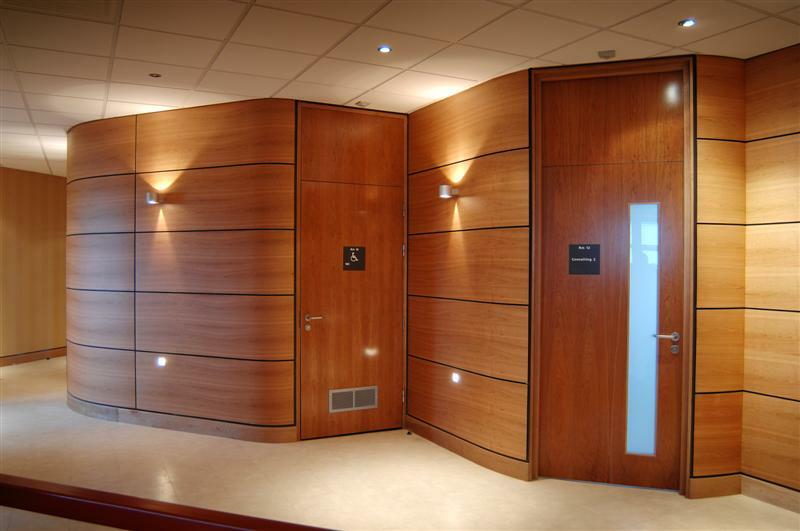 The convex exterior and concave interior American Cherry Veneered Wall Panels were laminated up and manufactured to precise tolerances. 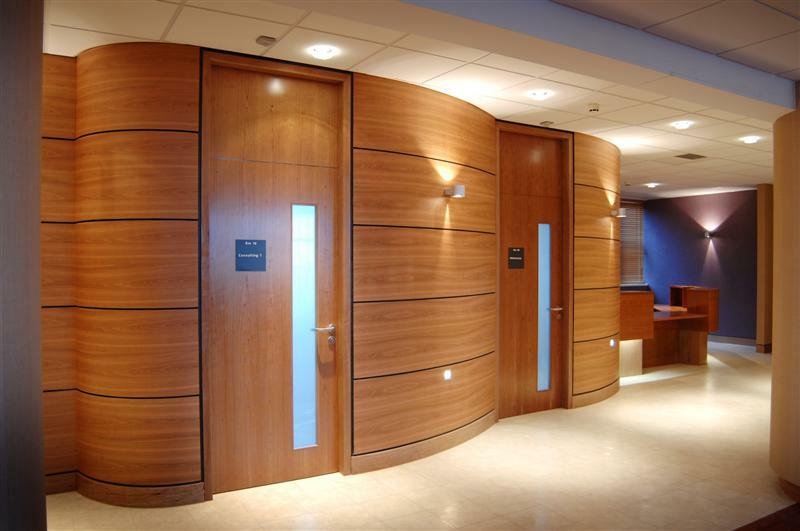 We did the cad drawings for the project, from which we then produced the templates which the builder used to build the curved wall substrates and we used to construct the Curved Veneered wall panels. Accuracy was paramount to create even shadow lines around each panel. 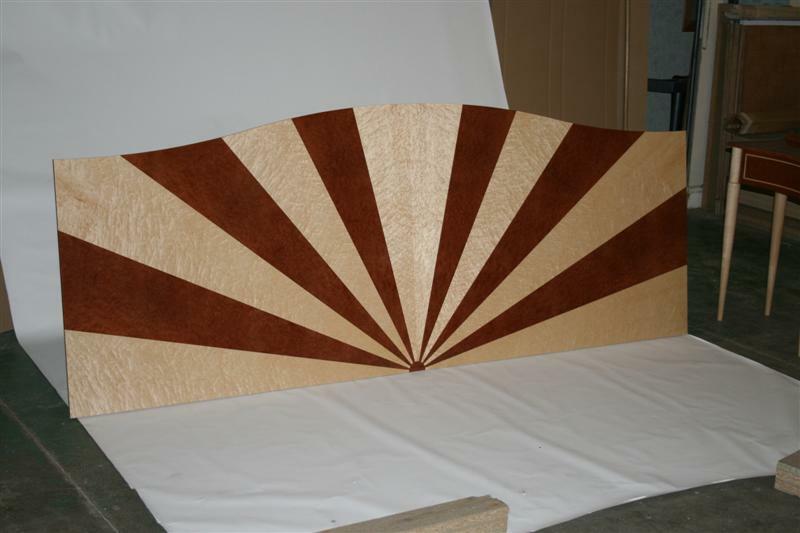 This commission of extravagant laminated panels was constructed with the lamination of 12 layers of mainly constructional (thicker cut) veneers. 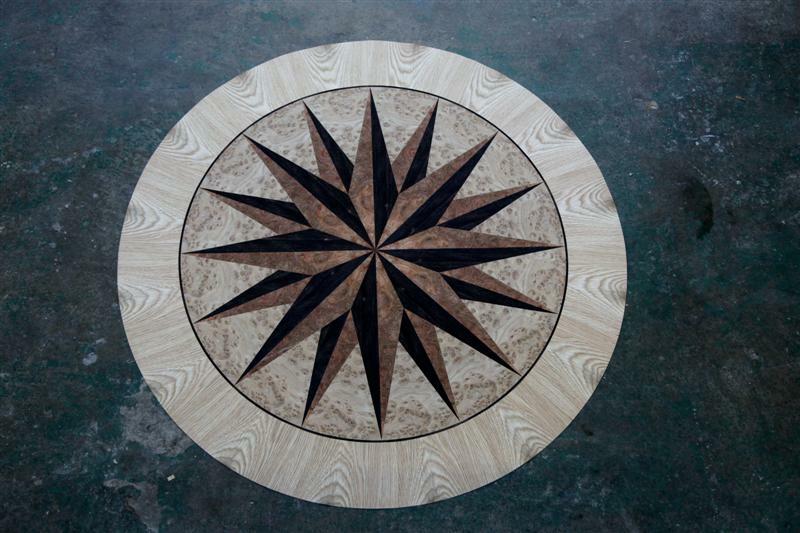 Cnc routering at regular intervals through these layers reveals north, south, east and west polarities to each dimple which is accentuated by the different grain directions and colours of the different layers of woods. The consistent spacing of the dimples along with their orientation creates a flickering optical effect. 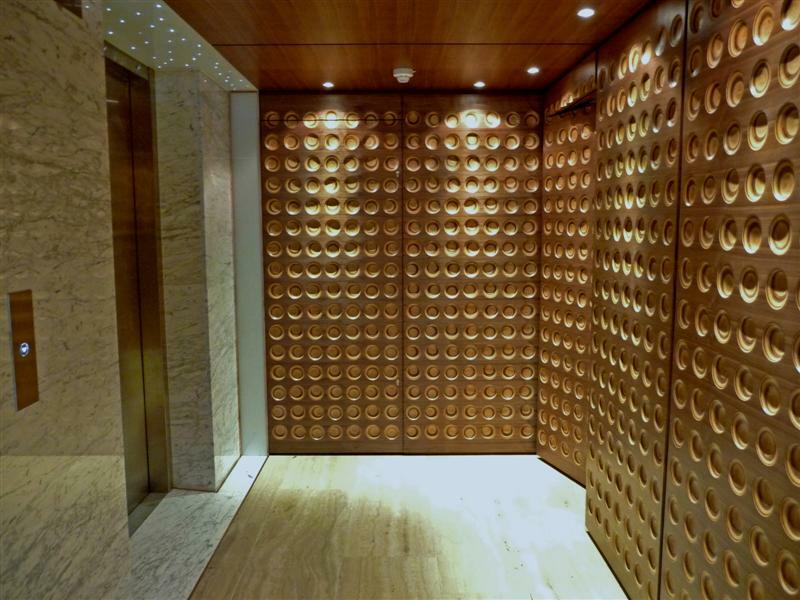 The face veneer of quarter-cut American Black Walnut follows through on all wall panels and all veneered ceiling panels. 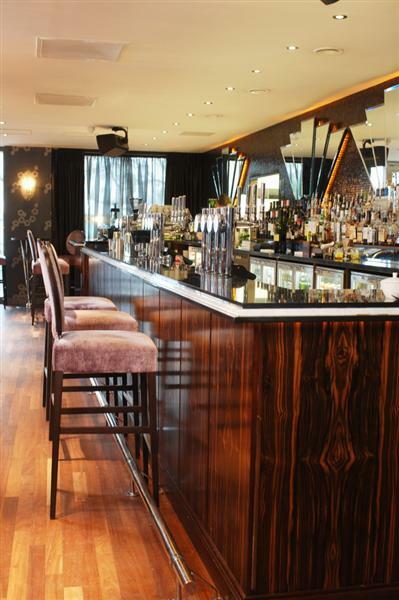 All the wood panelling in this art deco styled bar/restaurant in Bristol is Macassar Ebony. We set out the veneer to make each run of panels have the most startling effecté´ is Macassar though, so we didnà®¥ed to try that hard! 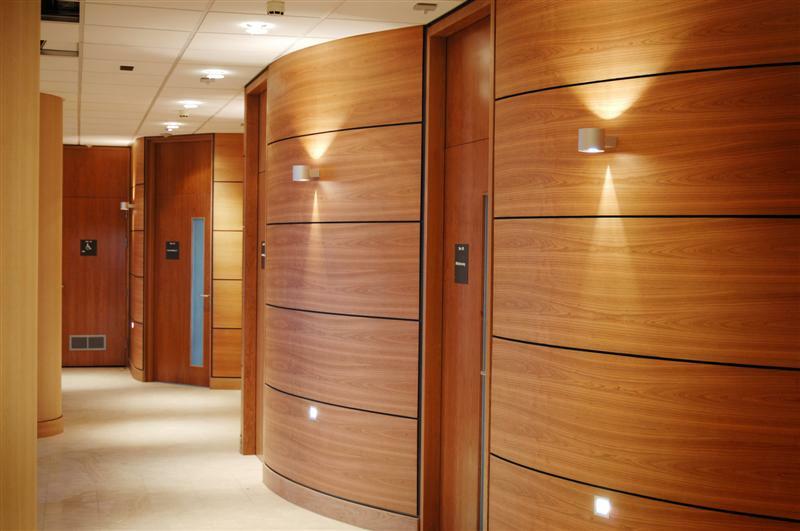 All the panels we did for this hotel were slip-match veneered in quarter-cut Indian Rosewood which is called ï­¢ay Rosewoodé´ has a very straight and uniform grain and is quite warm in colour. 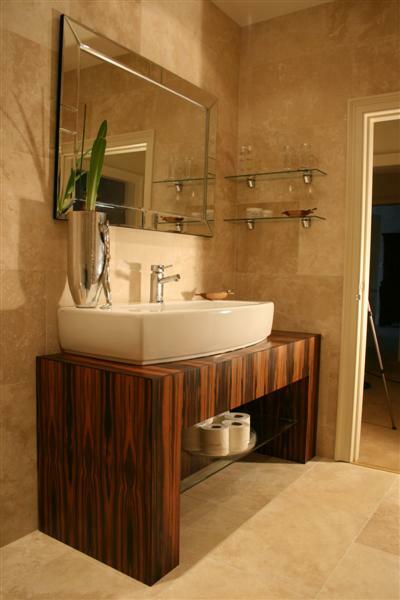 Our most popular bathroom furniture request has nearly always been for flat or curved bath-side panels and now that technology in wood-finishes has reached a standard where it can provide extreme protection, ità¨¡rdly surprising that there is now a great fashion for the beautiful warmth of wood against the cold nature of ceramics, glass and stone. 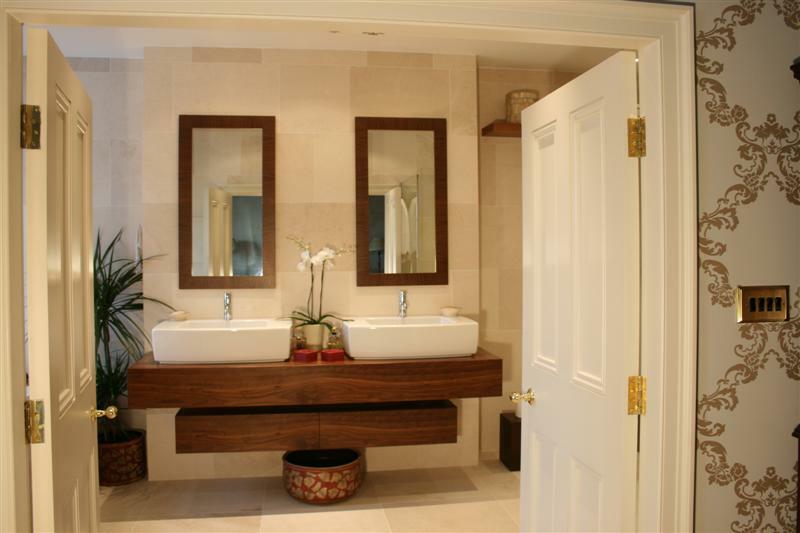 In the following bespoke bathrooms, it is difficult to say which element sets the other off more. Is it the marble or tiles setting off the Walnut, Wenge or Macassar pieces, or vice-versa, regardless of whichever it is, there can be no doubting the potency of these classical looking combinations. This bespoke American Black Walnut Veneered vanity unit was made with re-enforced construction to facilitate the considerable weight of the sinks filled with water. The lower suspended box contains two drawers for storage. 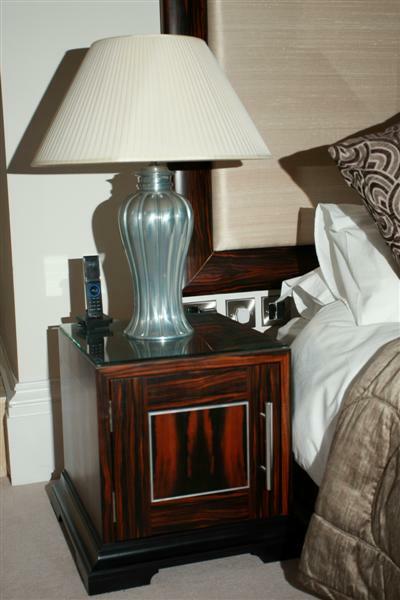 Arrangement of boxes is then crowned above with matching cross-banded veneered mirror frames. 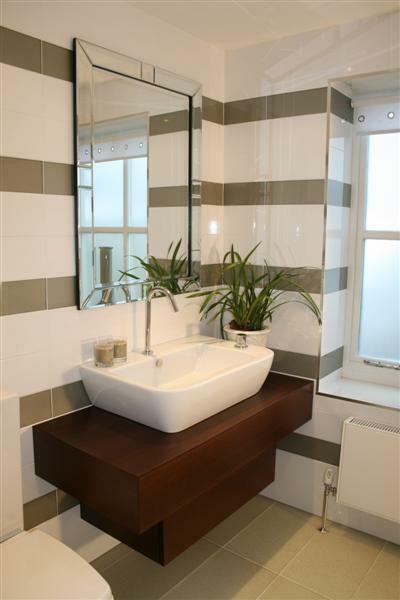 This unit has a removable Macassar panel behind the glass shelf, which hides the plumbing. In essence this is the same as the Walnut vanity above, apart from only holding one sink. Drawer beneath is activated pushing on the front. 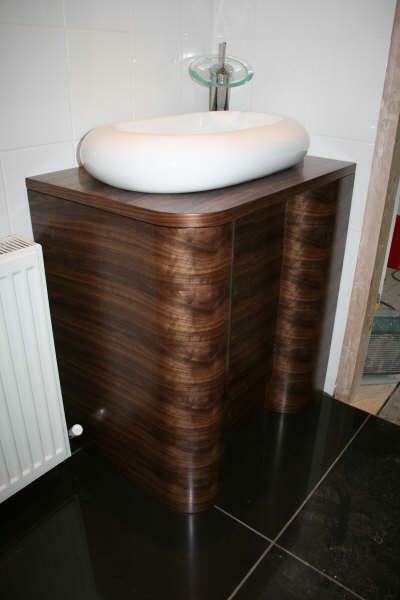 Another dark wood vanity unit, this time with chunky curved slab ends to continue theme from porcelain. Set back central cupboard hides plumbing and has storage beneath. 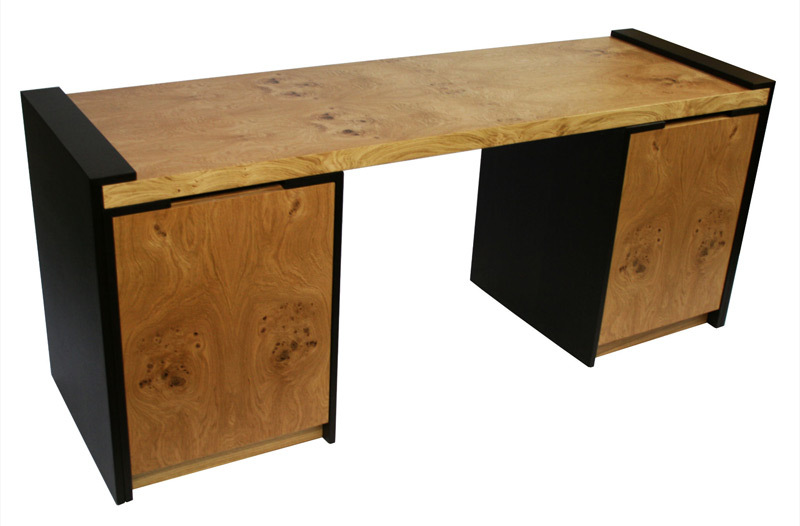 The simple elegance of the kimera range brings a sense of contemporary which will enhance any office environment. 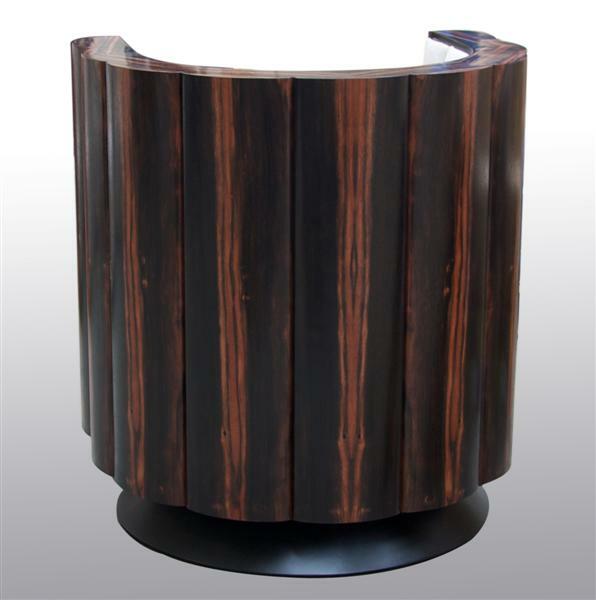 As the name suggests, this piece offers incredible flexibility, combining to create a desk, pedestal desk and credenza, in one item of furniture, fitted with drawers or cabinet as Is required. With the launch of this stunning range, Hillside veneers are continuing in their efforts in bringing their customers the highest quality bespoke furniture products at unbeatable prices. This new range of furniture is bang on trend and will not only add a designer style to your space but it is a practical solution to storage. Choosing the correct wood that works for your Piece is vital. These Pieces can be made any size you like and dependant on your needs you may just want a desk or a desk with cabinets and drawers. 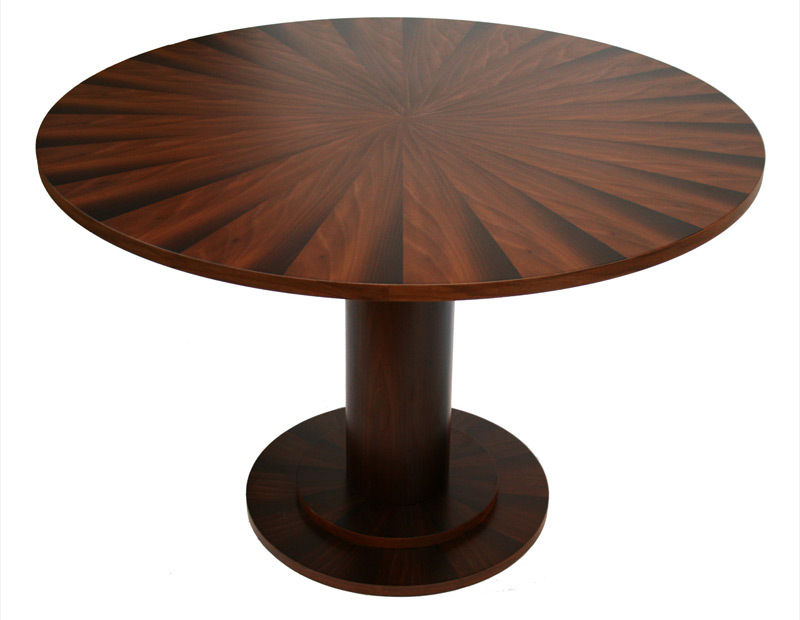 These simple yet elegant circular pedestal tables, can be made in various patterns and sizes to suit your requirements, and from a timber of your choosing. 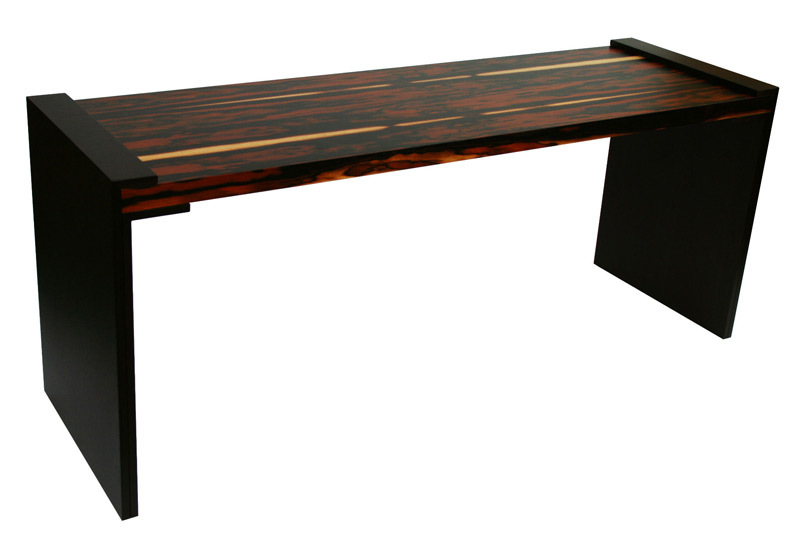 With our vast selection of exotic timbers and native species, you are certain to receive a unique piece of bespoke made furniture, suitable for dining, or as an informal meeting table in the office. We have several different designs and veneer combinations pictured in our gallery, which are available for immediate delivery. 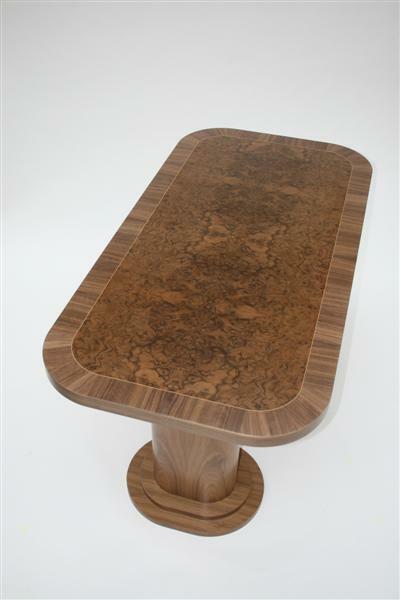 Each table top is unique and can never be copied so you really are buying a one off Bespoke piece of furniture. The veneer is laid in a slip matching fashion to create the unique look that you see in these pictures. 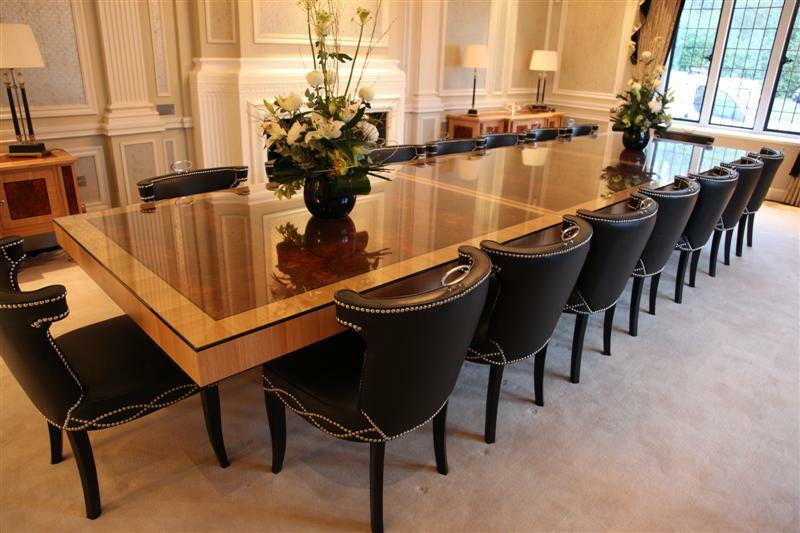 From stunning kitchen tables to large boardroom tables. Please enquire with us if you are interested. 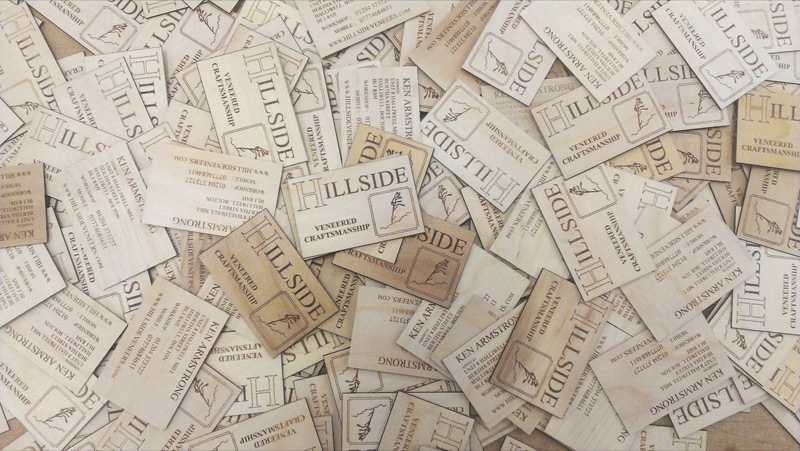 The business cards are made from a consistent high quality Birch plywood that has excellent bending strength, light weight and is decorative. The Cards are 0.6mm in thickness and are strong and also flexible. Each Card will have a hardwearing lacquer on the surface to protect it from the elements and general dirt. Using the information and design you have given us we use our Laser to engrave the surface of the card. Due to the natural characteristics of each wood species, variation in colour, figure and other characteristics can oocur. 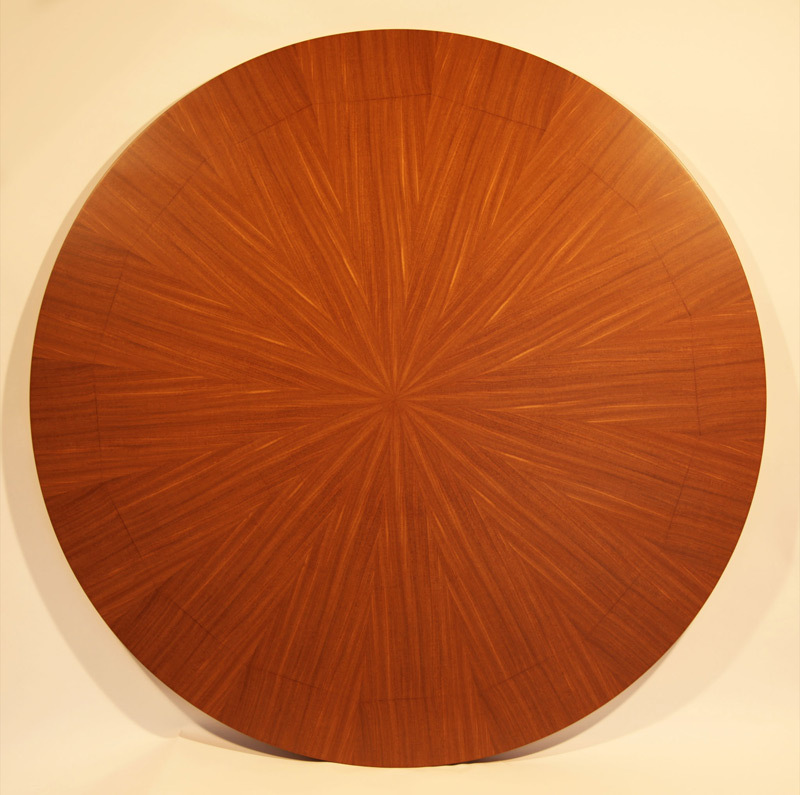 Wood veneer is a natural product and will always exhibit individual feature and character marks.